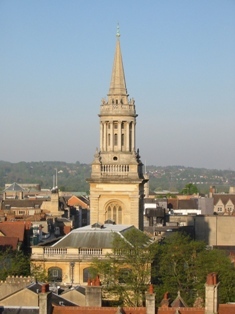 Formerly St Martin and All Saints, the church closed in 1970 and became the library of Lincoln College , one of only two libraries in the world to contain a ring of bells. A ring of five was provided by Henry Knight in 1622, the tenor was recast into two smaller bells to make six in 1874. A further two were added in 1927 to complete the octave.